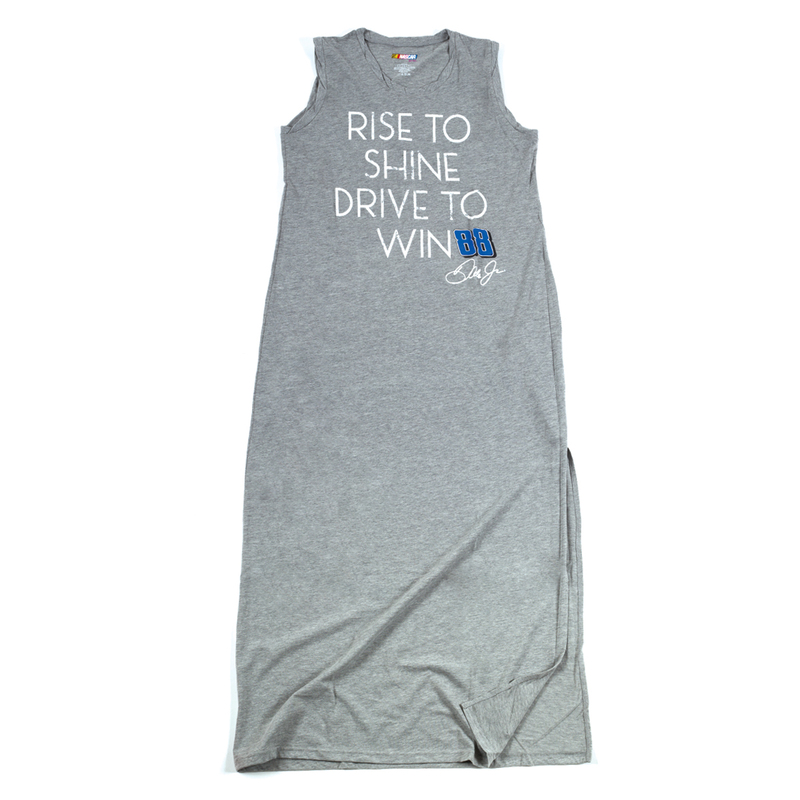 Rise to shine and drive to win in this flattering Ladies nightdress. 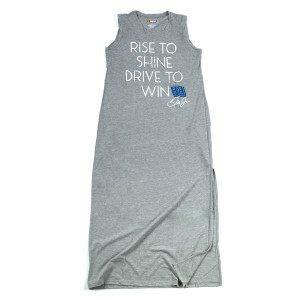 I love the nightdress. It is long for all these cold temps we have had. I also like the small slits at the bottom of both sides and it does not feel confining. The collar line goes down enough that I feel like I"m not going to choke myself . I love this nightdress so much that I bought a second one. I would recommend this to everyone.